These glass charts are of the protected image type; a thin sheet of plastic is laminated to the image surface. The image is incapsulated and will not wash off with continuous cleaning. This protected image usually extends the life of the charts considerably. Custom charts available. We either print from your existing Overlay CAD designs or create custom olverlay charts for you. These glass charts do not have a protected image, but you may wash them with soap and water or alcohol without the image washing off. Any cleaners other than the above used on the Hard Image voids any warranty by the manufacturer. When the most clear, crisp, and sharp image is priority #1, our Hard Image is for you. The plastic overlay chart is recommended when charts are being changed frequently. The plastic selected for use in producing charts and scales was made for its optical qualities and dimensional stability. 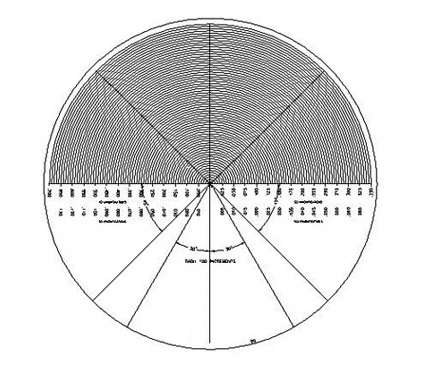 All plastic charts and scales are image etched into the surface for permanence; the image is etched to a depth of approximately .002 without affecting the accuracy or quality. Plastic charts are available with either a clear or frosted finish. The mylar overlay charts are .007″ thick and can be rolled for storage. They are not as durable as either glass or plastic charts. Mylar charts are available with either a clear or frosted finish.